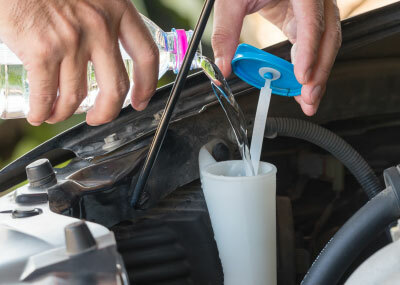 Automotive Fluid Replacement and car maintenance is the most important thing you can do to extend the longevity of your vehicles performance and lower the cost of future vehicle repairs. Richards Auto Clinic is a full service oil change, engine filter, fluids and lubrication auto shop. Call: 602-273-1100 and find out how affordable it is to get your oil change, filters replaced and fluids changed at our Phoenix AZ 85008 auto shop location. If your check engine light or your oil light is on please do not go another moment with out finding out what the problem is. It can end up costing you more money and more damage in the long run. Why is Oil Change Important For Your Vehicle? 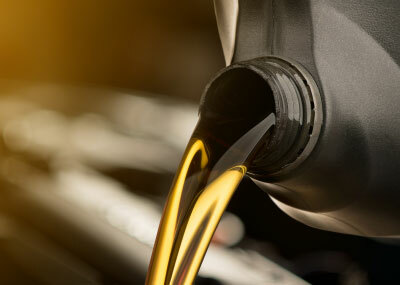 Car oil has improved over the years from standard oil to synthetic oil, providing better lubrication for your engine. Engines need proper lubrication or they will become inefficient or fall apart due to metal on metal grinding, or wear and tear and grime and sludge build up. When an engine runs, the pistons and valves grind and little slivers or metal particles are released. That is why it is important to have regular oil changes to stop the metal from grinding against each other. 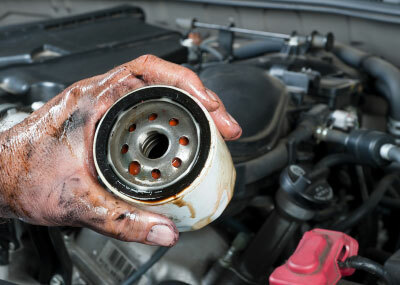 The oil filter catches the tiny metal particles so that they do not clog the engine. Air Filters clean the air that goes into the engine. This air mixes with evaporated fuel and when the spark plug ignites it causes a mini burst of energy to keep valves pumping the engine.  This filter is made of a combination of paper, foam and possibly cotton. This filter helps you maintain a properly running engine but also gives you better fuel efficiency. Fuel Filters are what keep the fuel injection system running clean and efficient. The fuel filter removes impurities from the gas in your tank before they reach the engine. This is the evaporative fuel that mixes with the air that combusts after the spark plug goes off. If a fuel filter is dirty and has grime it will reduce the amount of fuel that gets to the engine and will affect fuel efficiency and engine performance. Emission Filter helps to remove toxic fumes that is created after the spark plug ignites the air and fuel mixture that combusts in the engine. This is a very important part of making sure your car will pass emissions. If the Emission Filter is dirty, full of grime or needs repaired it will clog air flow to the engine and cause your vehicle to fail a smog check and inspection. Transmission Fluid is a red, pink or very light brown fluid that has a dipstick like an oil dipstick, but it is usually colored dark orange. Like Oil that is a lubricant to keep the engine running smoothly, so does transmission fluid do the same thing for the transmission system in your vehicle. Coolant Fluid or radiator fluid is a 50/50 mix of water and antifreeze that is used to absorb the engines heat. As you drive, the coolant is circulated through the radiator and the air that pushes through the radiator cools the fluid to change the freezing and boiling points of water.  Coolant is circulated through the engine in order to absorb heat. If you do not maintain the coolant fluid in your vehicle, your engine will overheat and will need to be repaired or replaced. Power Steering Fluid is also known as a hydraulic fluid. It is fluid used in the steering system when the driver steers the wheel. It makes turning the vehicle a lot easier and safer. Brake Fluid is also known as hydraulic fluid. When a driver pushes the brake pedal, the pedal compresses a piston that increases the pressure in the brake lines that sends out the brake fluid. This brake fluid causes the brake rotors to squeeze the brake pads that help stop wheel rotation. Windshield Wiper Fluid is a water and soap mix that is used when you spray your windshield. The wiper blades than proceed afterwards wiping away dirt and cleaning your windshield.